The Ronj Coffeehouse is back and open for business. This year, the student-run gathering spot is offering expanded hours, new menu selections and reinvented spaces for student activities. 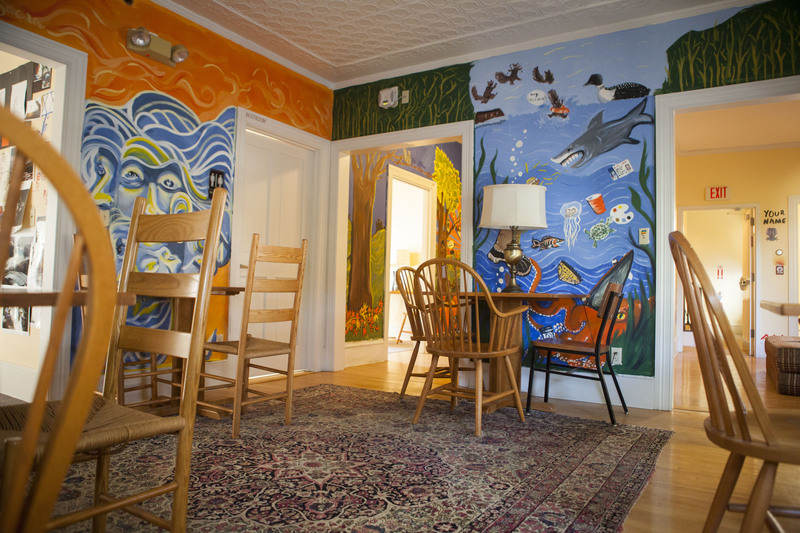 Located in Ross House, 32 Frye St., The Ronj, aka “Le Ronj,” sells drinks and snacks in a cozy study environment. 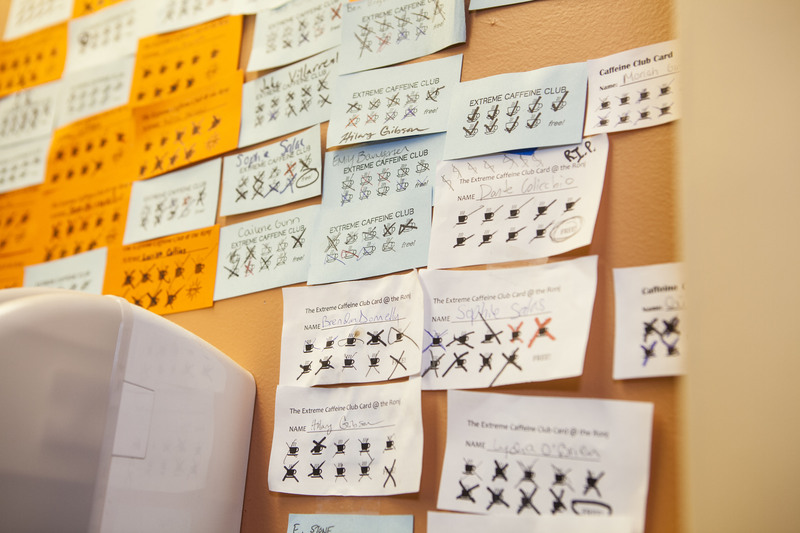 The coffeehouse acts in some ways as a microcosm of Bates, providing a place for both studying and socializing and bringing in students from every part of the college community. The staff hopes that new services offered this year will make The Ronj even more popular. 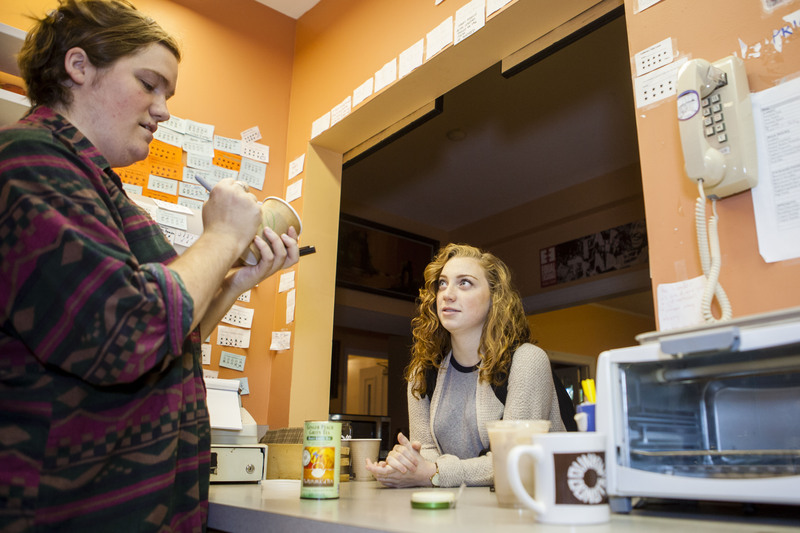 This year, the coffeehouse has added weekday morning hours, providing a convenient breakfast option for Frye Street residents on their way to class. It’s now open from 7 until 10 a.m. Monday through Friday and offers a brand-new parfait bar in addition to breakfast pastries and drinks. Upstairs will be a reimagined space that The Ronj managers call “The Loft.” The former pool room will soon be a multipurpose activity room that could feature live music or events hosted by student organizations. The managers envision the room as a fluid, adaptable space that could, perhaps, become a pop-up restaurant one month and a giant chessboard the next. The Ronj also has a new website where customers can check hours of operation, daily specials and employee bios. Ronj baristas choose music to play over the house system, and the new website will let them share their custom playlists. Many Bates students use The Ronj as a place to study. Colette Girardin ’16, who goes to the coffeehouse “at least three times a week,” prefers it to the library due to its “low-key” environment. Each manager has a different reason to value The Ronj. For Hakusui, it’s the sense of community that exists among employees and customers. Pendergast points out that The Ronj proves that a student-run establishment can function on its own. And Mohtarudin likes the “look of satisfaction” that pops up on a customer’s face when baristas make a special drink or go the extra mile. As the college evolves in the coming years, the current managers hope that The Ronj will continue to be recognized as a reflection of Bates at its best. 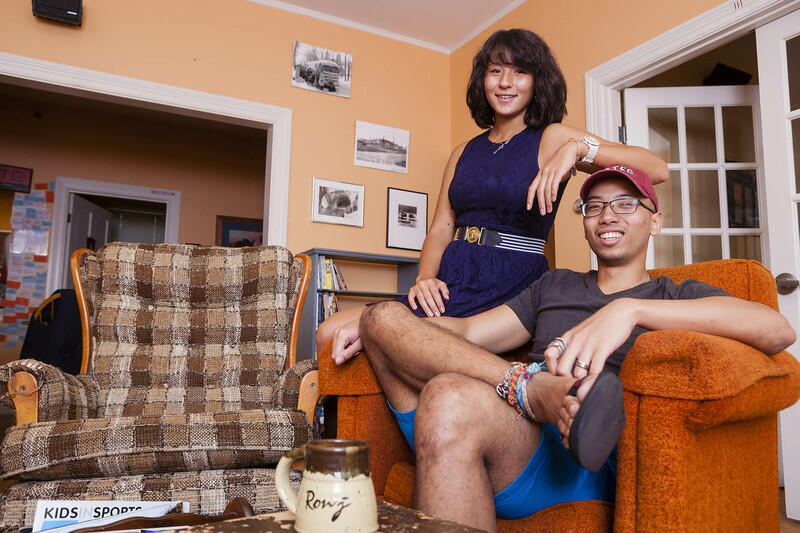 They point to the diverse interests of their barista staff as an example of the way that Bates students from all walks of life can come together. They also describe their weekly specials as demonstrative of the way Bates thinks. For example, on “Wild Card” night at The Ronj, customers can get a custom drink of their barista’s choosing for just one dollar. “It’s very much a creative cultural exchange through food and drink,” says Hakusui.